Shapeshifters is a playful exploration of 3D printing. It’s all about imagination, innovation and new methods of making, drawing on the high-tech and rapidly evolving world of 3D printers and fluid extrusion methodology. The designers, makers, tinkerers and creators involved in Shapeshifters (including Ryan Pennings, Lukasz Karluk and Lousje Skala) all begin with a real world idea. That idea is translated into a digital something – a piece of code, a CAD model or perhaps a verse of music – before being transformed into the final physical form. By experimenting with digital fabrication technologies, the designers build on their traditional modes of making to create something entirely new. 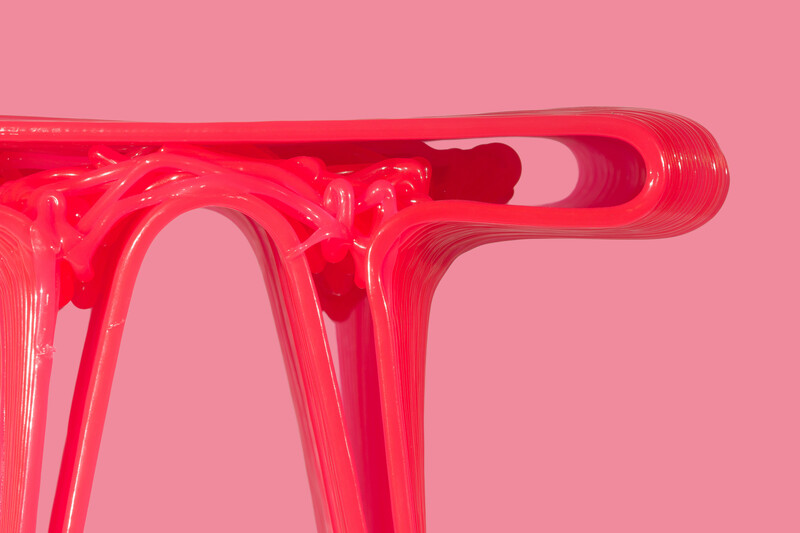 Image: Ryan Pennings, Percy stool (detail) 2015, polyactic acid. Courtesy of the artist.